Europe´s Mars Express satellite has started returning detailed color images of the red planet. 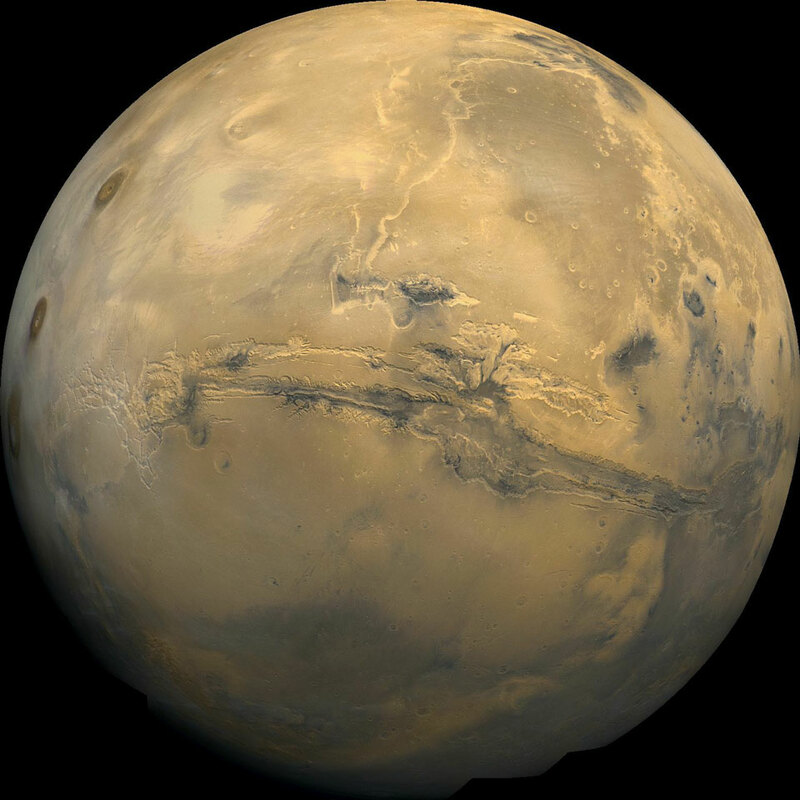 The first of the current armada to arrive at Mars, the orbiting satellite will photograph the entire Martian surface to a resolution of 10 meters or higher, map the mineral composition to 100 meter resolution, and investigate the global circulation of the atmosphere. Pictured above is a 3D perspective of the first image released from this satellite — a stunning computer reconstruction of part of the Valles Marineris region, a canyon nicknamed the Grand Canyon of Mars. 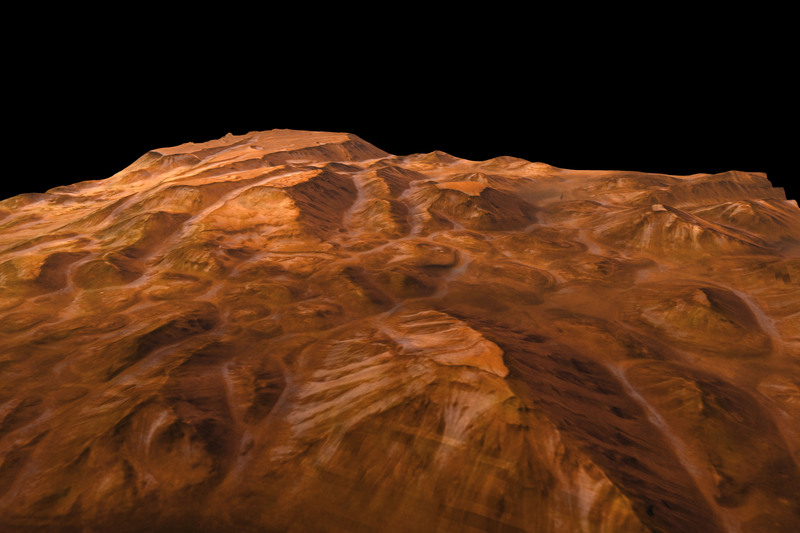 In reality, Valles Marineris is four times longer and five times deeper than its Arizona counterpart. 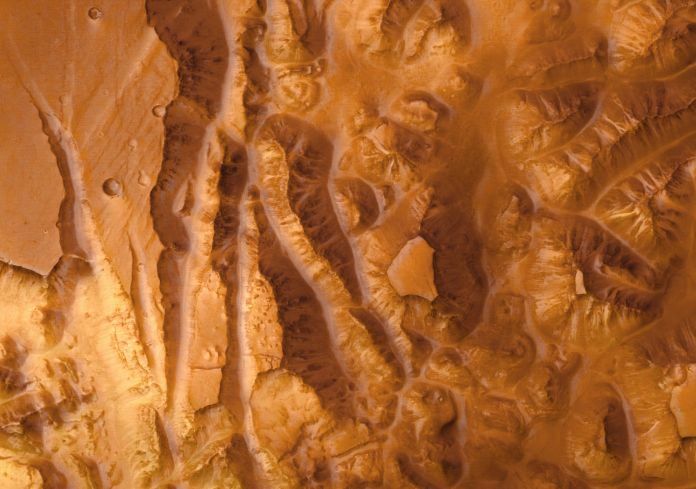 The above image shows a portion of Valles Marineris roughly 65 kilometers across, detailing many ridges and valleys. 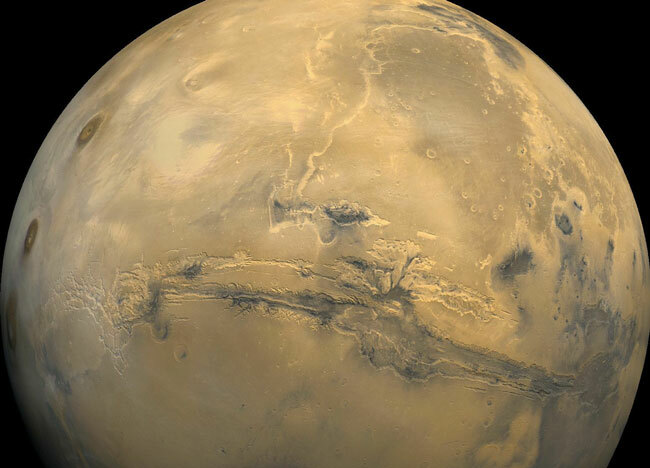 Mars Express is scheduled to continue to send back images for at least a full Martian year.